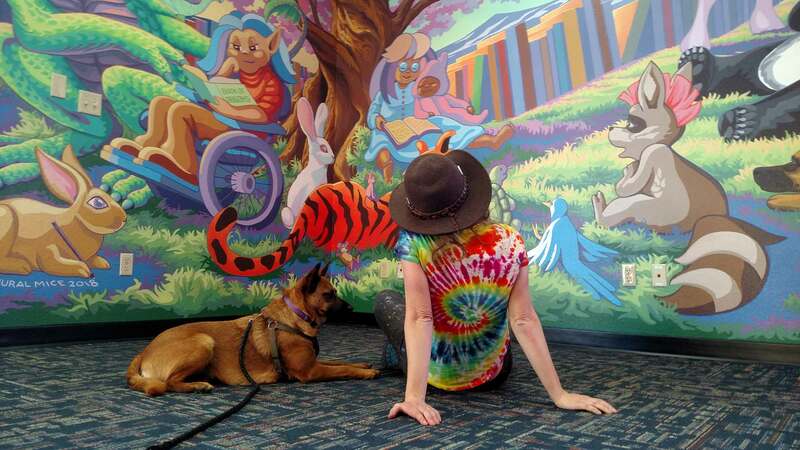 at the East Flagstaff Community Library (EFCL). 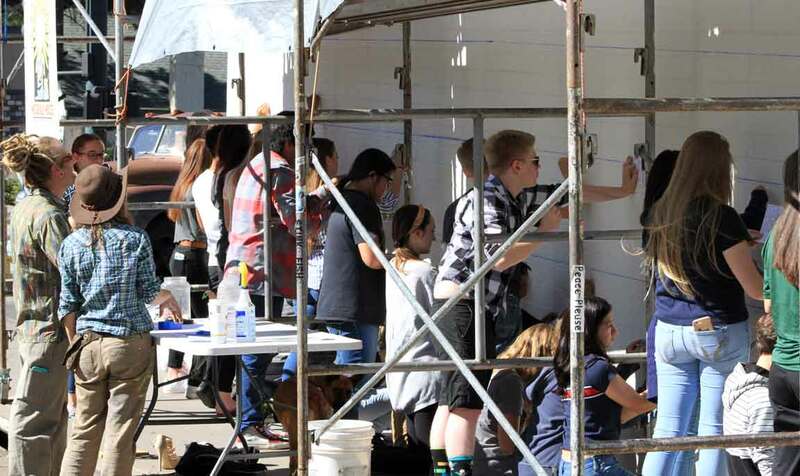 Flagstaff teens are hosting a community event, where they will unveil a youth-designed mural that illuminates threats to water in the Southwest and shares stories of environmental injustice, community resistance, and hope. 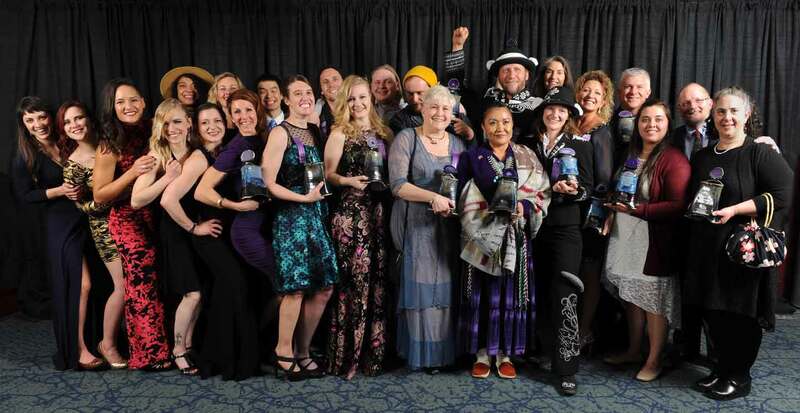 Their powerful work of public art advocates for the protection of our region and envisions a future of water justice on the Colorado Plateau. 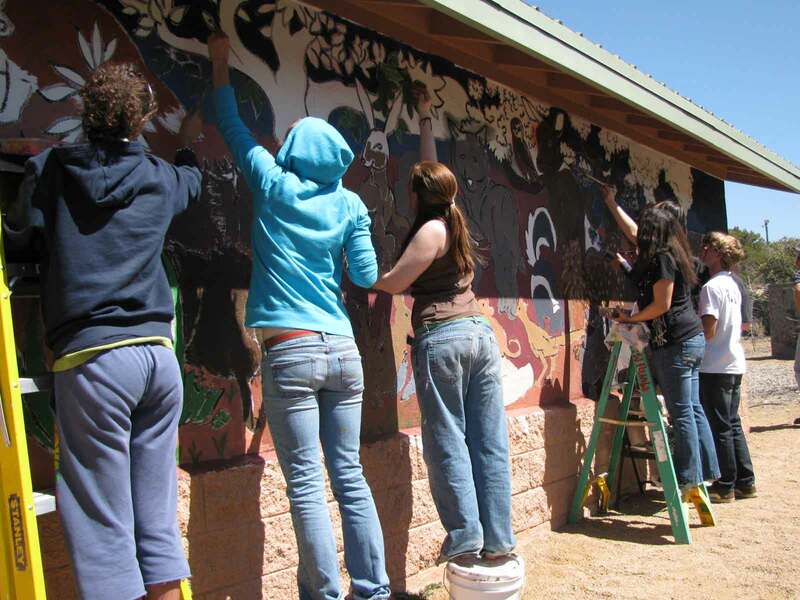 Celebration Event will take place Wed. October 24, 2018 4:00-6:00 p.m.
Flagstaff Mayor Coral Evans and an entourage of city dignitaries helped to unveil the "Community Reflections" mural at Bushmaster Park. Local musical legend Tony Norris and friends performed for a jubilant crowd of bubble blowing children and public art aficionado's. 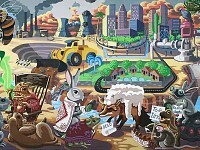 Mural Mice Universal artists R.E. Wall and Margaret Dewar hosted the event. Click here to see and learn more. 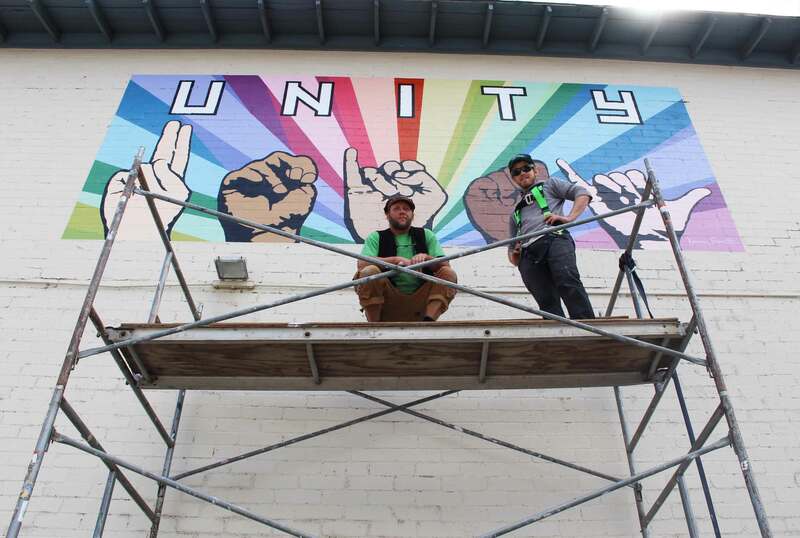 The Unity Mural was designed by artist and activist Karen Fiorito and painted by Flag artists Sky Black and R.E. Wall. 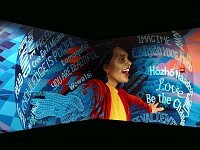 The UNITY mural displays the colors of diversity along with the word UNITY in English and American Sign Language. 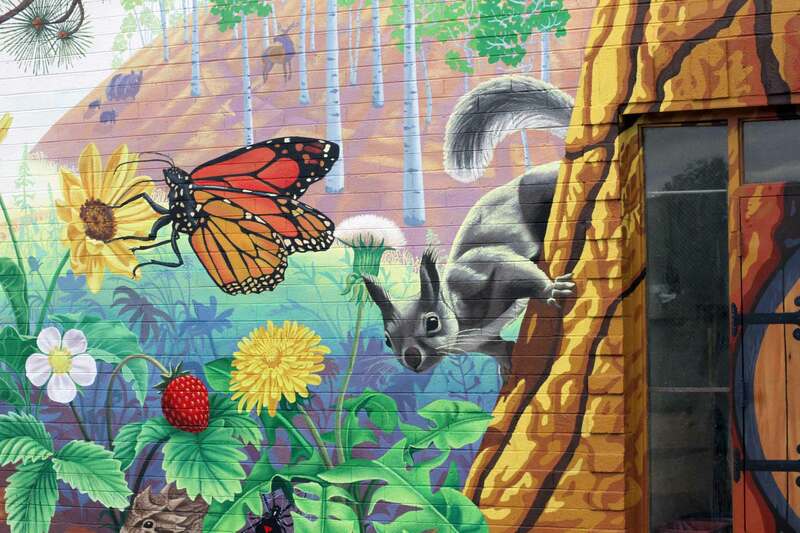 The mural was funded by Flagstaff Pride and Together We Will. 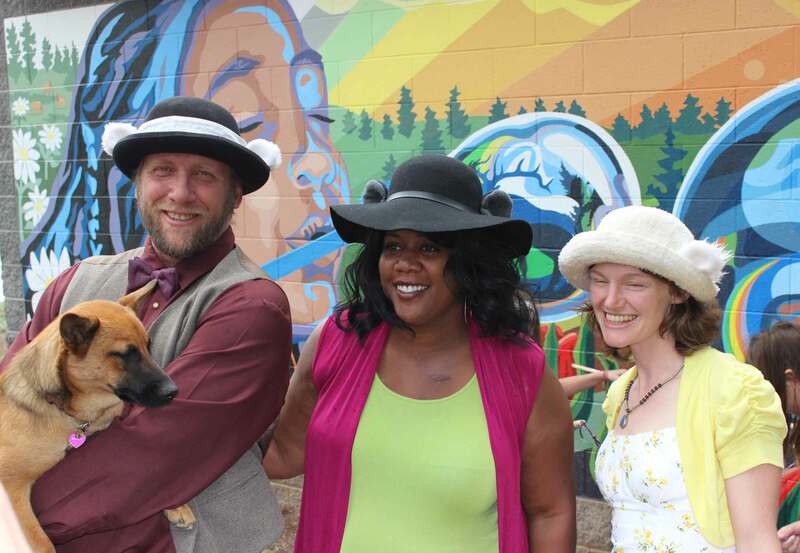 Both organizations work to celebrate and increase acceptance and awareness of the lesbian, gay, bisexual and transgender (LGBTQ) community of Flagstaff and Northern Arizona. A Mural Dedication will be held on Saturday October 6th, 2018 at the historical Orpheum Theater during their annual Coming Out Drag Show. Read more about the project here and here. Mural Mice artists R.E. 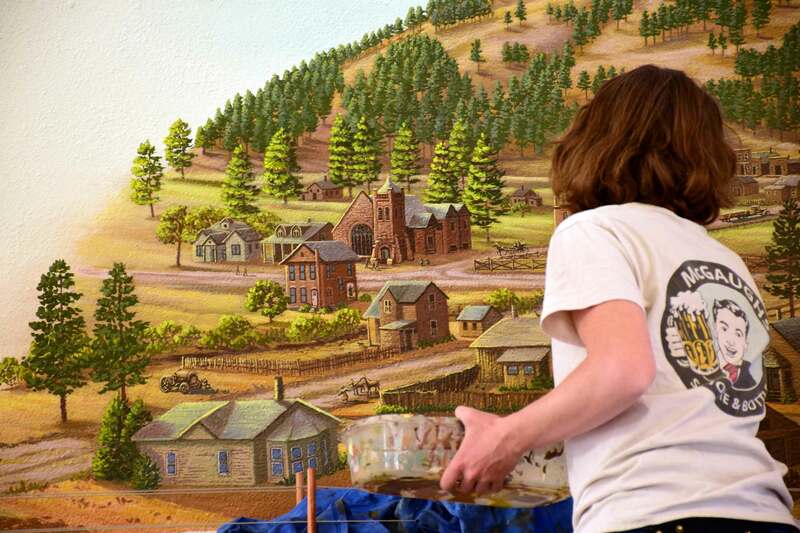 Wall and Margaret Dewar had been painting a mural in the Flagstaff Convention & Visitors Bureau, A.K.A. the Milligan House, for two months. 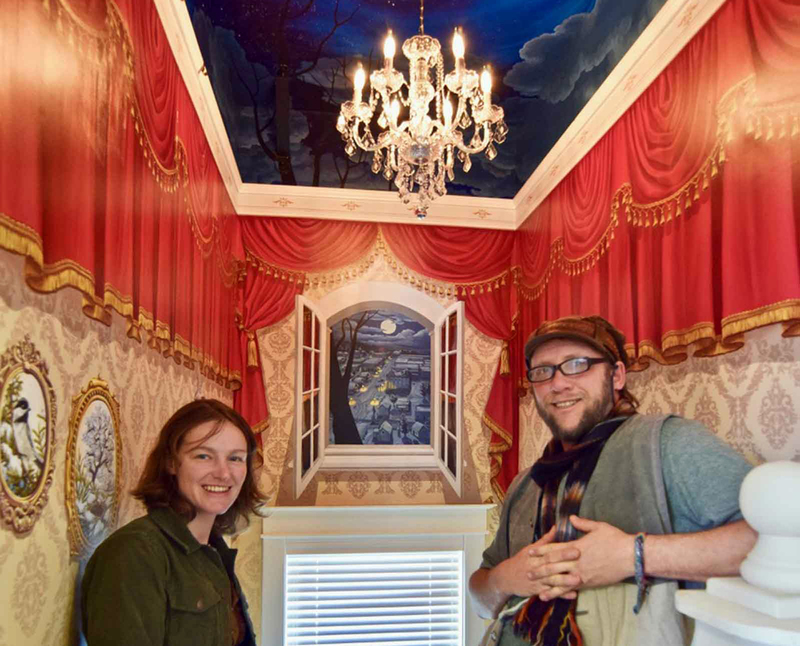 The vision for the mural called for resident ghost Mabel Milligan to head upstairs to her chambers. An unusual gallery greets her at the top of the stairs where a window to January 1st 1916 has been left open. Because of all the paranormal energy afoot; the roof was removed to reflect eternity in the form of stars above. 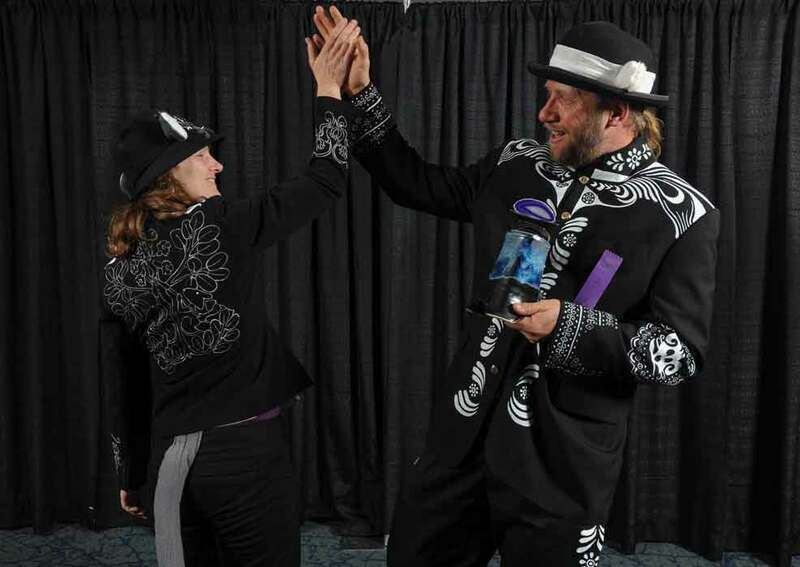 With Marketing Director Trace Ward at the helm and CVB staff gently stepping through the mess on the steps, the Mice took the house ghost vision to the next level, making it the newest attraction for the Flagstaff Haunted Places tour. Located on 323 W. Aspen Ave. Witnesses throughout Old Town Peoria have reported an unprecedented outbreak of spontaneous, romantic “dipping,” a dance move commonly associated with swing or tango. 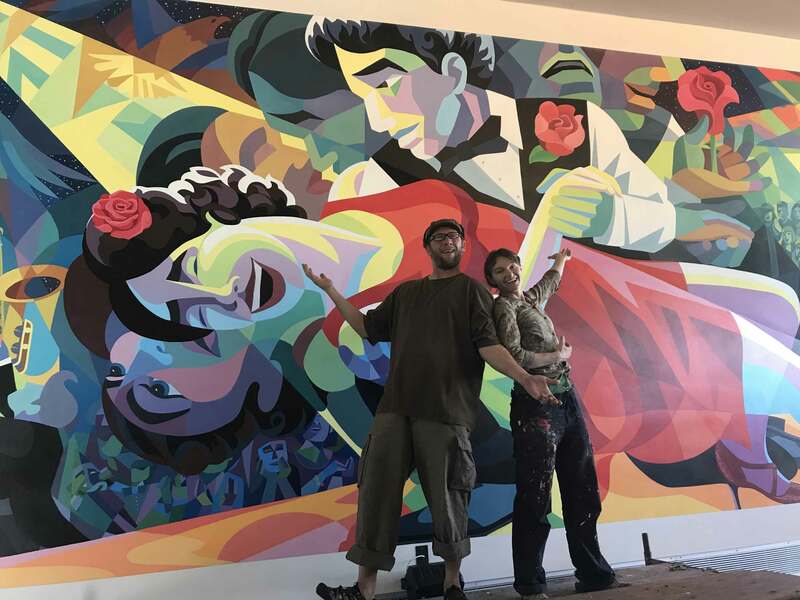 The epidemic is linked to the recent completion of a mural at Peoria Center for the Performing Arts located at 10580 N. 83rd Drive. Authorities warn that the phenomenon could spread throughout the Phoenix valley. 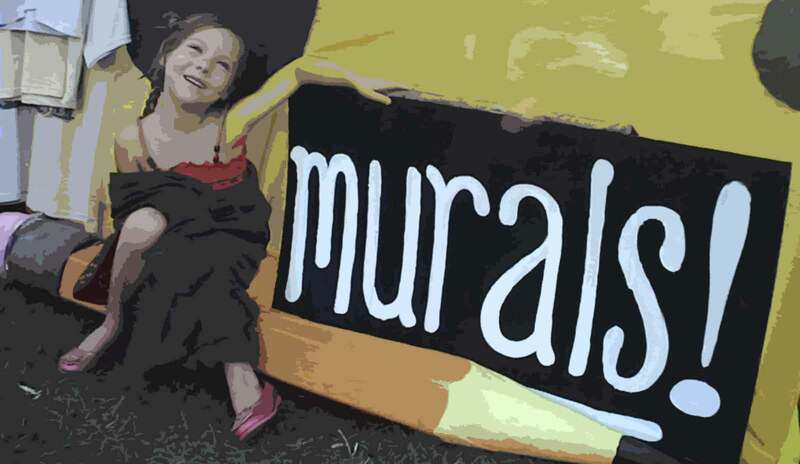 We are happy to share our art and our experience in building community murals and theater. 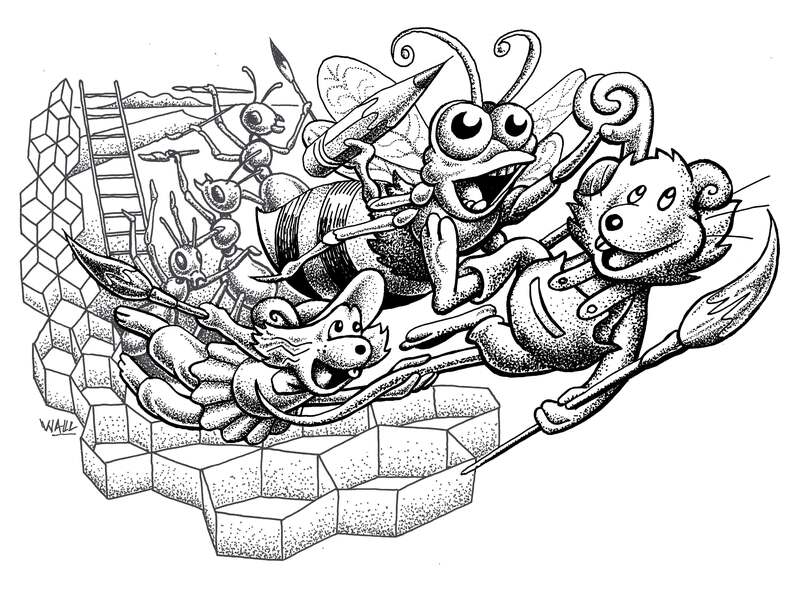 Ask us how you can get involved in the next big Mural Mice adventure. 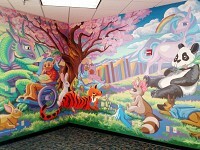 Take a closer look at some of our work with a virtual mural tour. First and foremost, we care about community. 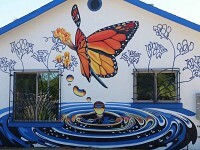 We use murals as a tool to bring people together. As artists we want our talents to serve the greatest good, to inspire, beautify and empower one another to get involved in community. Our murals are an expression of what holds us together, a celebration of our uniqueness, our differences, our heritage and our vision for the future.